ArchivePhotography.co.uk records contemporary life in images and carefully preserves and archives them for future reference. 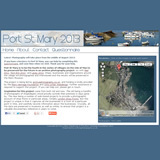 Following a pilot project in Peel in the Isle of Man in the summer of 2011, the project has been extended to other towns and villages on the Island, with fieldwork carried out in Port Erin and Laxey in March 2012, and Port St Mary in August 2013. We achieved a very high level of participation amongst the local business community to provide a very comprehensive record for the future. Further projects are planned across the UK, and sponsors are now being sought. ArchivePhotography.co.uk is interested to speak to any local authorities, business groups, individual businesses and benefactors who are interested in preserving a snapshot of community life for the benefit of future generations. Please contact Chris Littler on 07914 706330 to speak about the options for your own project, or send an email. Some recent media articles on the changing nature of the British High Street, some speculation about future trends, and a little nostalgia. Port St Mary 2013 This project took place in the summer of 2013. The project is supported by Chris Littler Webdesign along with the Manx Heritage Foundation. 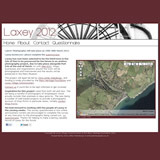 Laxey 2012 This project for the picturesque village on the sides of a steep valley on the east coast of the Isle of Man was carried out alongside Port Erin 2012. Laxey Village Commissioners supported the project with the Manx Heritage Foundation. PortErin2012.com Building on the success of Peel 2011, support was been gained from Port Erin Commissioners and the Manx Heritage Foundation to survey shops and businesses in Port Erin in the spring of 2012. 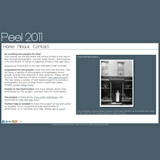 We built further on the coverage achieved in Peel 2011 by including interior photographs where possible. Peel2011.com A survey of over 130 shops, businesses and civic organisations in Peel, Isle of Man. Shop exteriors were photographed with shop staff included in most cases. Information about staff roles, numbers and place of residence was also recorded in the majority of cases. 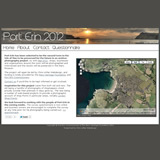 This pilot project was supported by Peel Heritage Trust, Manx Heritage Foundation and Chris Littler Webdesign.